Drew Brees made history in Week 5 of the NFL season – he's now thrown for more yards than any other quarterback. While Brees has enjoyed extended success with the San Diego Chargers and New Orleans Saints, the Miami Dolphins have missed out on him twice. When Brees became a free agent in 2006, he chose the Saints over the Dolphins. And in the 2001 draft, the Dolphins considered Brees, but ultimately chose CB Jamar Fletcher with the No. 26 pick. The team did grab a quarterback: Josh Heupel. Despite recommendations from the Dolphins scout team to take Brees, Miami thought it had a solid quarterback in Jay Fiedler. The team also believed it was getting equal value with Heupel. Brees currently has 72,103 yards (and counting). Heupel threw for exactly zero yards in his NFL career before pursuing coaching, instead. Counting his signing bonus, Brees made about $2.1 million his rookie season. Meanwhile, the Dolphins filed a grievance against Heupel to try and reclaim $83,000 paid in a signing bonus. The Dolphins claimed Heupel lied about a wrist injury before the NFL Draft. Ironically, Heupel is now back in Florida. He left Missouri last winter to take the vacant job at UCF. Meanwhile, Brees is continuing to set records. And the Dolphins are still looking for their franchise quarterback. Drew Brees' Multi-Million Jewelry Lawsuit Is Heating Up! Drew Brees spent millions on a diamond – but believes his jeweler greatly overcharged him. And now, the two sides are battling it out in court. Drew Brees is suing a longtime San Diego jeweler because he says the ring along with a variety of other pieces he's purchased are worth a total of $9 million less than he paid for them. 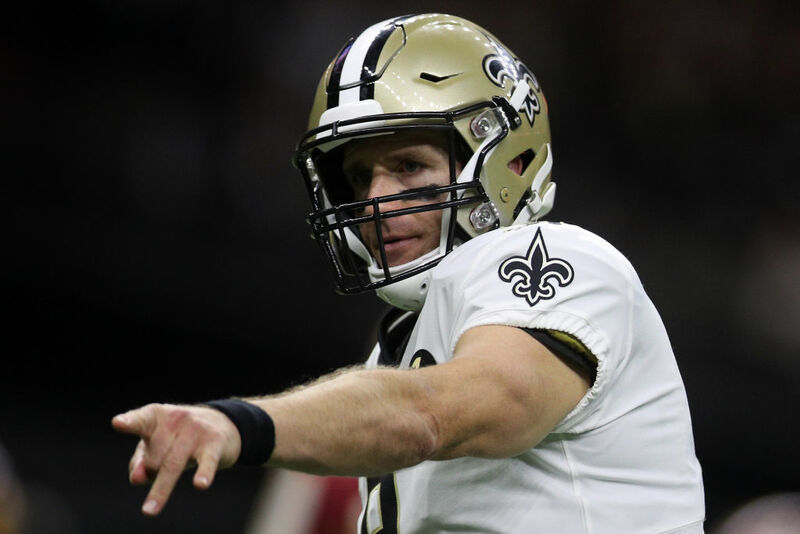 Now, some additional details of Brees' contract with the Saints have come to light following early reports, and it turns out that it's a bit more complicated than the simple two-year, $50 million contract that was originally reported.